Wash any vehicle in record time! The Autofiber Washstik Car Wash Mop saves time, energy, and your back, too! 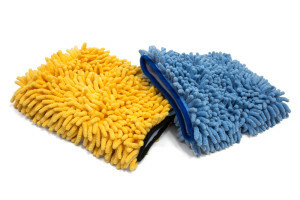 This trio of benefits results from the three key components of the microfiber mop refill. The first is a lightweight aluminum telescoping pole that adjusts from 42 inches to an extra-long 70 inches with a few twists. Securely attached to the pole is a removable 9 x 4 ¼ aluminum rotating mop head that glides the mop up, down, over, under and all around your vehicle. Topping that is a super-absorbent microfiber mop pad that reveals and restores your vehicle s showroom shine in record time. The Autofiber Washstik Microfiber Car Wash Mop cleans any size vehicle quickly and nearly effortlessly thanks to premium microfiber, one of the most efficient and effective cleaning products available today. A microfiber mop refill will get you back to washing super-sized vehicles like motor homes, fire engines, large trucks and even boats. 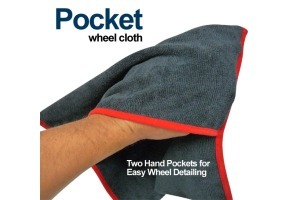 Traditional car wash cloths merely push dirt around. But with a microfiber car wash mop, millions of precision split strands loosen dirt, lift it off the surface, then trap and hold it inside microscopic spaces in between these strands. Once trapped, dirt particles won t scratch paint or other finishes. A dry microfiber mop refill pad is all you need to finish off the job. The microfiber car wash mop has a unique ability to absorb up to seven times its weight in water. Yet even when wet the car wash mop is remarkably lightweight. Just grab the plastic end grip with your dominant hand and the soft foam grip with the other for better balance and more control. No matter how much you move the mop, hook-and-loop backing coupled with high-grade snap closures keep the mop pad securely in place. Keeps hands dry – The mop head does the wet work so your hands don’t have to. All-angle rotating mop head – Makes this mop easier to control than other car wash mops. Longer lasting heavy duty construction – Including high quality, non-corrosive aluminum that won’t bend or bow, industrial strength hardware, difficult to damage high density plastic, and premium microfiber. Premium 80/20 Polyester/Polyamide (nylon) fiber blend – Reduces scratching, swirling and washing time. Machine washable convenience – Machine or hand wash separately or with other microfiber items in warm water and mild detergent or hand soap, rinse, and air dry. Bleach and fabric softeners are not recommended.